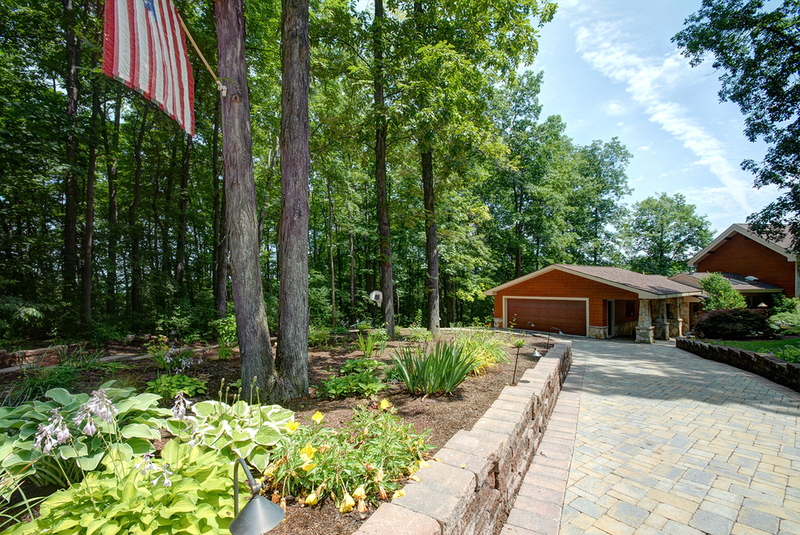 See this luxury home in beautiful Chittenango! 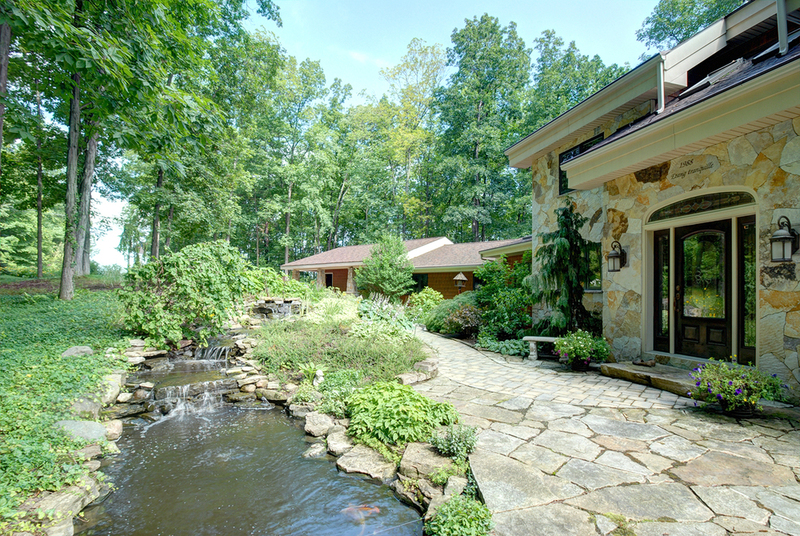 A pleasant flowing pond welcomes visitors just outside the front door. 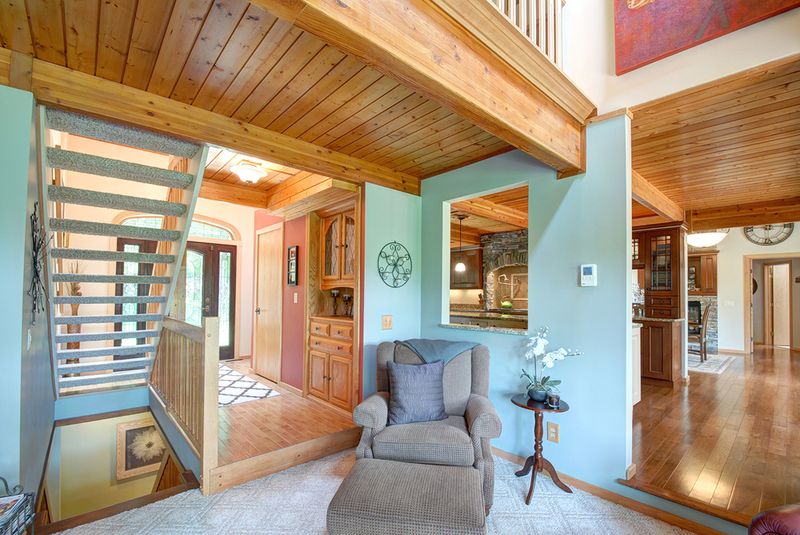 The foyer leads into a family room that's perfect for large gatherings! 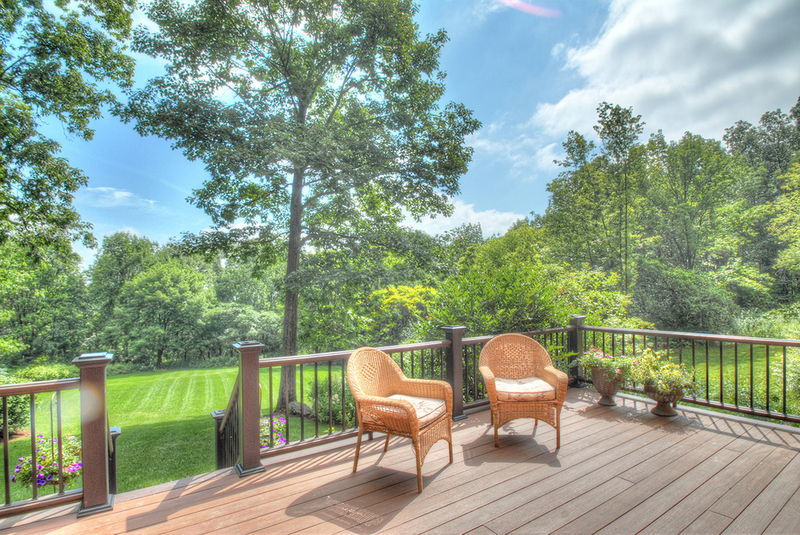 It features a vent-free fireplace with gas logs and five-foot, floor-to-ceiling windows overlooking a tiered deck and spacious private yard. 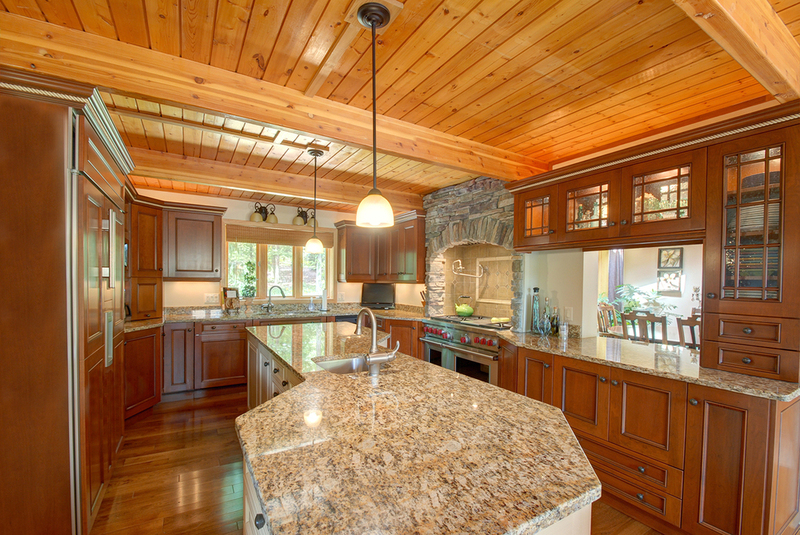 The grand gourmet kitchen features all the necessities to make delicious cuisine in absolute style. 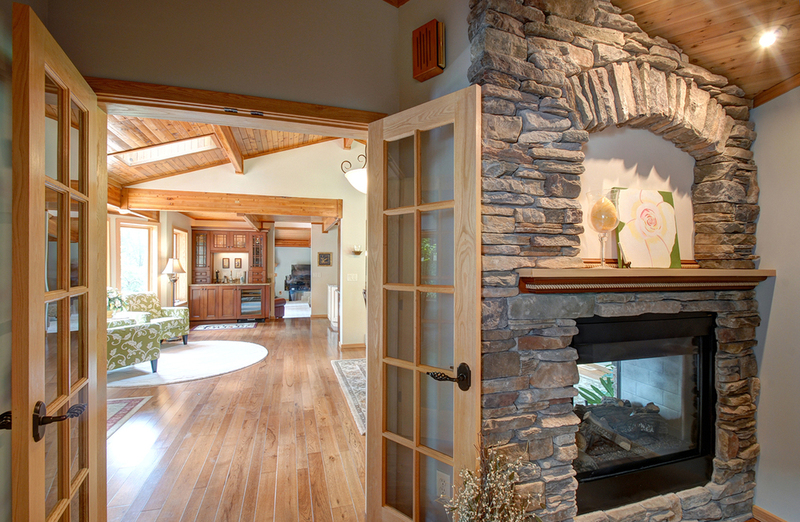 Buck’s County Cultured Stone surrounds the 6-burner Wolf Stove, which is also outfitted with a grill, pot filler, and fan that vents to the roof. There are Wood-Mode self-closing cabinets and top-of-the-line appliances, including a Sub-Zero refrigerator, Jenn-Air trash compactor, and Asko dishwasher. The main dining room features beautiful cedar ceilings and beams with four skylights. 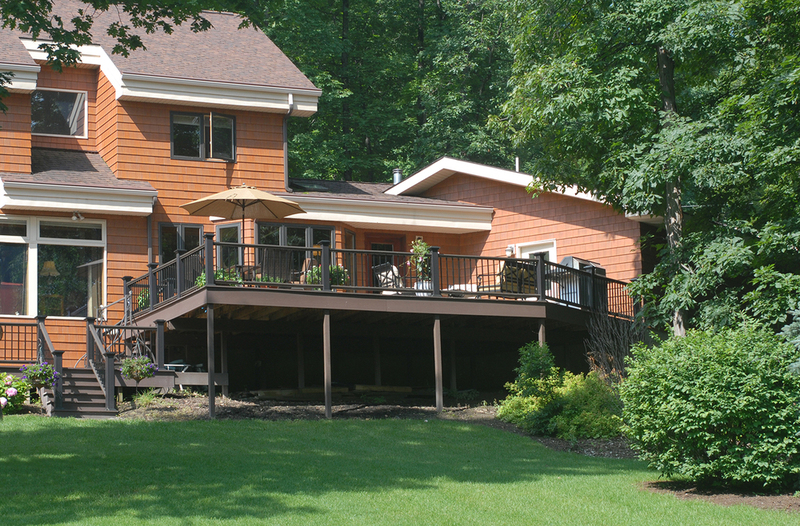 A sitting room opens to the dining room and kitchen, and it overlooks the tiered deck through a bay window. The master bedroom suite is located on the first floor. It has a handsome bay window and a 3-sided gas fireplace that opens to the bath. 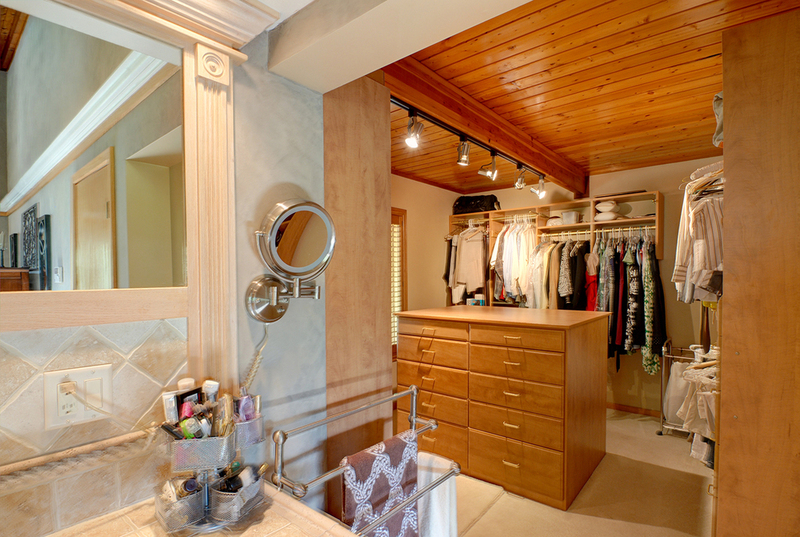 Keep things organized in the built-in closet system with dressers and multiple hanging areas. The master bath boasts a walk in shower with body sprays and a hand held. Upstairs, there are four additional bedrooms with vaulted ceilings, which can also be used for an office, workouts, or just about any other purpose. Three of four bedrooms have complete closet systems. The second floor bath is pure luxury with a walk-in shower and rain shower head, custom cabinets, lighted crown moldings, laundry chute, and bamboo flooring. 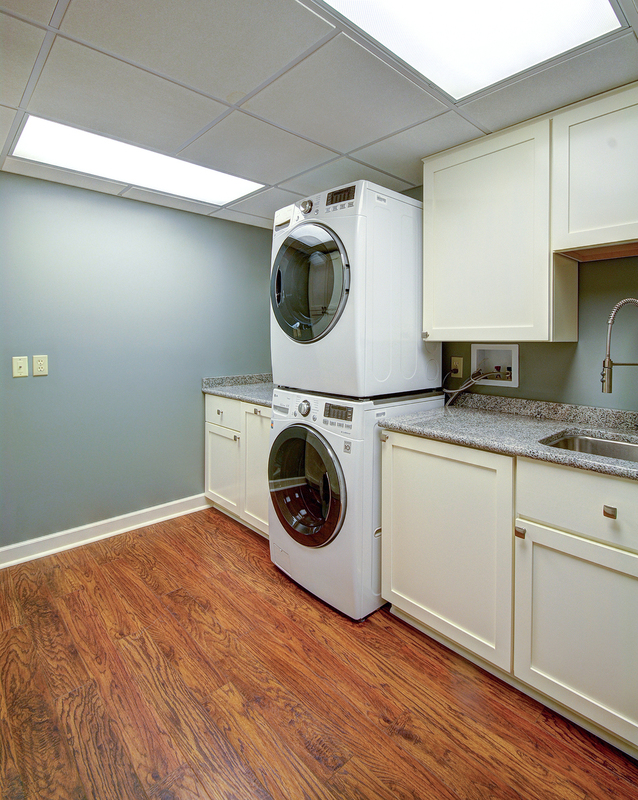 Downstairs, there is a brand new laundry room with stackable washer/dryer, custom cabinets with granite countertops, folding area, drying rack, and a laundry sink with a pot washer. 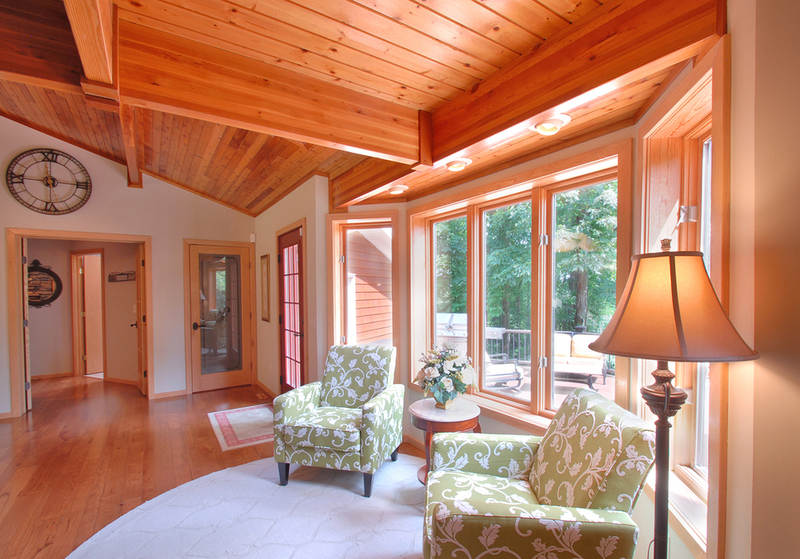 Thick white pine flooring is throughout the house. 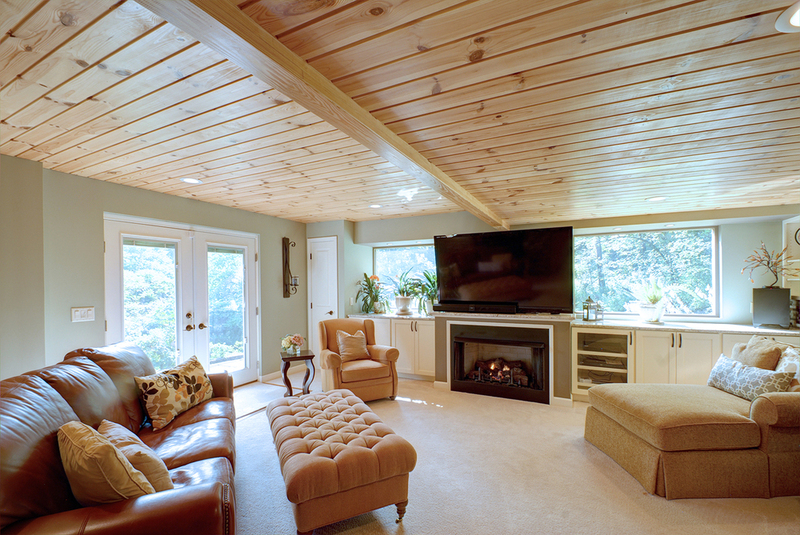 And ceilings are 2 ¼” white pine with glue laminated beams. A side entry to the house has an interlocking, multicolor slate with radiant heat and a coat closet. If you act fast, this luxury home can be your castle today. Living Area (SqFt): 4100 sq. ft.